The other day, I came across a lesson in the 5th grade English Literature textbook about the famous & highly regarded Dr.Benjamin Carson. The lesson dealt with the fact that Ben Carson’s mother, Sonya Carson had ignited the lamp of learning & excellence in the minds of both her children by restricting their television viewing to two programmes per week. In that place, the boys were required to visit the library each week to pick up books to read after which they had to write a book report for each book that they read. They had to then submit their book report to their mother. According to Dr. Ben Carson, this act of their hard working mother was the cause of him becoming a neurosurgeon & his elder brother Curtis an engineer. I was highly impressed by this story but……I had to be practical…..the year Ben Carson’s mother disciplined her children from watching the television to reading books was 1961……things have changed since then. Today, it is not easy to get children of any age group to read books & especially good literature…..but it is not impossible. I’ve noticed that parents these days focus only in developing their child’s I.Q. instead of their E.Q. Therefore even though the children of today have a lot of potential, due to the lack of moralistic development, they do not progress further in their overall development. The fact however still remains the same which is that we need mothers like Sonya Carson. She is a woman who wanted to give her children the key to the world. She also as I have seen in the lesson, instilled the belief in her children that BEING BLACK & POOR WAS A PITIFUL EXCUSE FOR NOT WANTING TO ACHIEVE SUCCESS IN LIFE. This sentence of profound wisdom was not spoken by a university graduate, but by a single mother who was a domestic help & who had only studied till the third grade. If she can realize the power within a human being for goodness & perseverance…….then why can’t we? 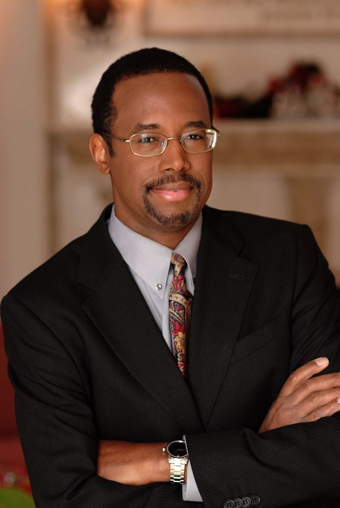 Dr. Ben Carson states plainly that books had developed his brain & also his imagination which made him one of the foremost neurosurgeon in the world who was the first to successfully separate conjoined twins at the head in the year 1987. Where books are concerned, there is no limitation to one’s imagination. Ben Carson’s story now has become a milestone in the history of science……not because he watched television constantly…..but because of his reading. Sonya Carson was an ordinary single mother, who was interested in the overall development of her children. When she saw the books in the people’s houses where she worked, she immediately took it upon herself to shift her children’s focus from ‘the box to books’ which ultimately changed their grades, mind & life for the better. Audio-visual media is good to a certain degree but, we must remember that such media does not develop our minds but stagnates it as it does everything for its viewer…….including the thinking part of it……the viewer is then just a mute spectator. In a book however, a reader is more in command of his imagination & is able to develop his I.Q as well as his E.Q. The Dr. Ben Carson’s story has certainly influenced me to continue allowing my students to read good literature & other good books so that they too realize that ANYTHING IN LIFE IS POSSIBLE, REGARDLESS OF WHAT COLOUR A PERSON IS OR WHERE HE COMES FROM.